A. If a quick maneuver doesn’t spin her off, try reducing the draft by heeling her over with a backed sail and shifting some weight. B. In tidal waters, though, don’t continue heeling her too long, because she might end up lying downhill. C. Feel around to get an idea of the shape of the bottom. Try wriggling her off by shifting weight fore-and-aft to reduce the draft and by hauling in on the kedge anchor cable, led back to a sheet winch or capstan. Shoving with a pole and running the engine can also help. 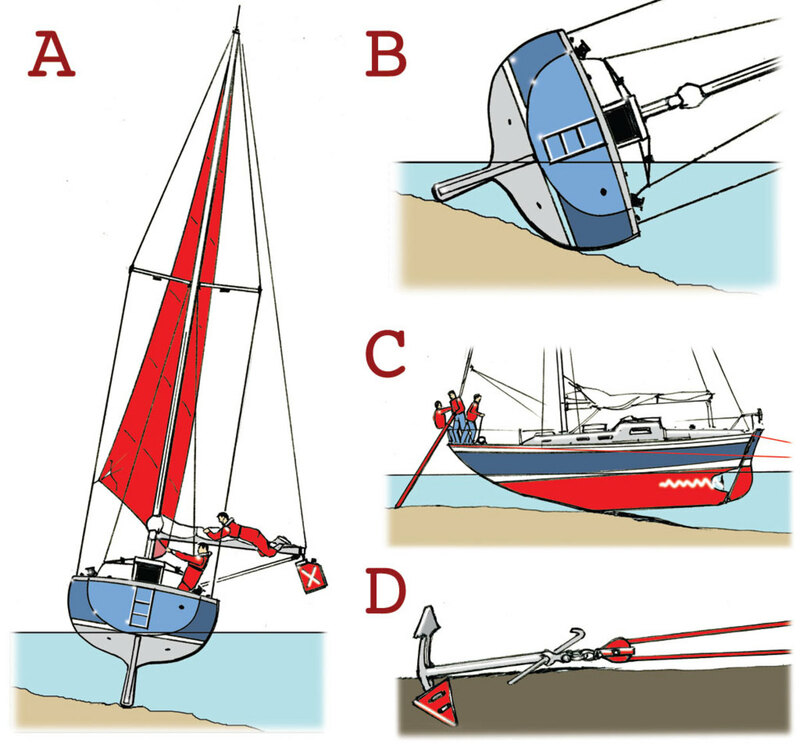 D. If your kedge anchor is small, use the main bow anchor. 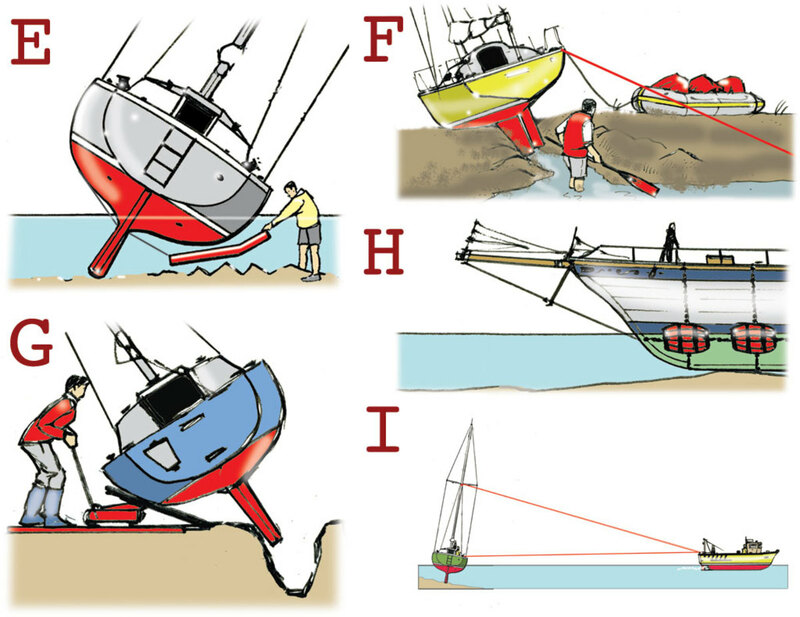 In a salvage situation, mud “shoes” can be added to increase the size of the flukes, and a strong block added to the system to nearly double the pulling power of the winch. It’s also wise to keep the Coast Guard apprised of your situation. E. If she’s stuck, heel her uphill before the water recedes and, if needed, pad the hull to prevent damage. Lash bunk cushions and boards underneath her to stop them floating out. F. It’s sometimes possible to get off earlier by shifting weight into the tender, digging a channel for the keel and hauling in on the kedge. G. One reader saved his small boat by digging a hole for the keel, and then jacked her up into it. H. In the past, all sorts of buoyancy devices, ranging from barrels to other boats, have been used to lift vessels off the bottom.